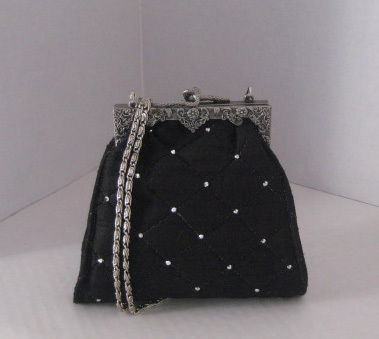 Small, black quilted bag, made of silk dupioni and accented with swarovski crystals. Size is approx. 5-1/2"L x 6"W. Metal frame with shoulder chain.